Our Cream Cheese Sugar cookies are ready for Spring! 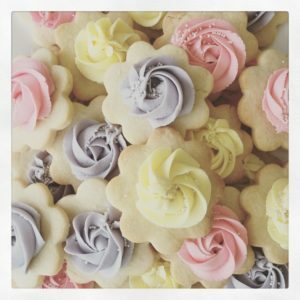 Decorated in soft pastel buttercream, they are perfect for all of your Spring Celebrations. Available daily at the bakery, we do suggest large orders to be placed in advance. Available in custom colors, with and without sprinkles.